Today is the 45th anniversary of the final blow to the dollar-gold standard. By August 15, 1971, the exchange of dollars for gold was limited to central banks, and US President Nixon unilaterally ended it. There was a brief attempt to resurrect it, with new parities, which failed, and thus began the current era of floating exchange rates. It is romantic on two grounds. First, it is romantic because it glosses over the challenges of Bretton Woods from nearly the time it was implemented, which was more than a decade after the IMF was launched (1946). 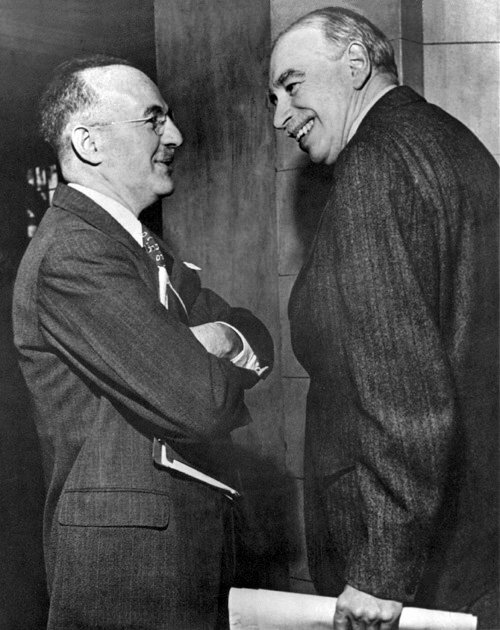 According to Benn Steil, who has written what appears to be the definitive account of Bretton Woods (“The Battle of Bretton Woods: John Maynard Keynes, Harry Dexter White, and the Making of a New World Order”), the first nine European countries did not implement Article VIII, which links their currencies to the dollar at a fixed exchange rate, until 1961. By then the fundamental challenge or contradiction was understood. To state it (see Triffin Paradox) simply, when a national currency is used as an international reserve asset, the required supply undermines its credibility. The period from 1961 to 1971 is peppered with systemic pressure and mini-crises. Recall that the German mark floated a few months before Nixon's coup de grace. Outside of some academics and interested parties, it is not clear what countries actually want to return to a gold standard. Of course, several countries, including China and Russia, are critical of the de facto dollar standard that has emerged. To the extent they propose an alternative, they tend to focus on increasing the role of their currencies or advocate a greater role for the IMF’s Special Drawing Right (SDR), which is a basket of currencies, with the US dollar accounting for just less than 42%. The US dollar’s share of global reserves is greater than this at 63.6% at the end of Q1 16, the most recent authoritative data. The US economy accounts for about 22% of the world’s economy. There needs not be a direct link between economic size and the use of its currency as a reserve asset. One way to think about the dollar’s role as a reserve asset is that many parts of the world are still on a dollar standard, through currency pegs. Much trade continues to be invoiced in dollars, especially commodities. China, now the world’s second-largest economy, has long inhabited the dollar-bloc. Even now, despite the official claim of monitoring it against a basket of currencies, it still largely tracks the greenback. Last August, the yuan depreciated 2.6% against the US dollar, and one would think the sky was falling. Consider that when the Swiss National Bank lifted its cap, the franc appreciated by nearly 40% against the euro within a couple of hours. Sterling fell about 12% in a few hours after it became clear in late-June that a slim majority favored Brexit. Advocates of another Bretton Woods do not appreciate that the dollar-gold standard was wracked with problems from nearly the time it was implemented. Despite years of lobbying, the advocates have not been able to secure support from current leaders. Although many advocates suggest some kind of flexibility can be hardwired into the regime, their political naiveté prevents them from comprehending why the flexibility in both the original Bretton Woods and in subsequent European Exchange Rate Mechanism, (ERM), were not used as the architects envisioned. Countries are loath to accept a devaluation. They put it off as long as possible, which often means a crisis. Countries are loath to accept a revaluation due to domestic constituents, including exporters and labor in the external sector. The extent that countries are willing to sacrifice their domestic agenda to their international commitments is an open question. Fixed exchange rate regimes institutionalize existing power relationships. Yet, the power relationships are nearly in a constant state of flux. It was naïve to think that the distribution of power in 1945 was durable. It is just as naïve to think that the current distribution of power is any more permanent. Indeed, many of the financial crises experienced over the past quarter of a century was result of too much rigidity and not enough flexibility. To be sure, floating, and therefore volatile, exchange rates are not ideal, but they seem preferable to the alternatives. They serve as another shock absorber in the dynamic system of modern capitalism. They require a level of sophistication by businesses and investors to manage the variability. However, floating exchange rates allow small incremental adjustments as opposed to step-function, which seems to be a greater source of systemic stress and investor anxiety.